Tired of boring side dishes? This is a universally popular dish that both adults and children will love. 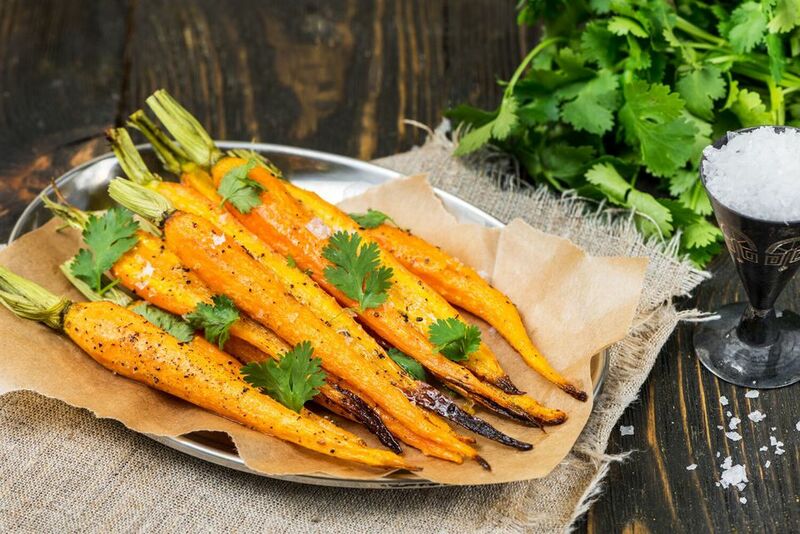 Carrots are tossed with melted butter, brown sugar, and pepper before being roasted until soft and caramelized. This is a perfect side dish to accompany roast chicken or beef. It could also be served with a chickpea salad and couscous as part of a vegetarian meal. Either way, do not expect any leftovers! Slice the larger carrots into two length-wise so that all the pieces are roughly the same size. You may need to quarter extra large carrots. Line a baking tray with aluminum foil and arrange carrots neatly on the tray, making sure they don’t overlap. Brush melted butter onto the carrots lightly with a silicon pastry brush. Sprinkle them with brown sugar before giving them a good grind of black pepper to finish. Bake in the oven for around 25 minutes or until soft and beginning to brown. Sprinkle with crushed sea salt flakes and garnish with parsley or coriander.